Snow, high winds and more hours of darkness make winter camping a challenge, but with the right tent it can be an enjoyable adventure with almost as much comfort as in summer. The MSR Access 2 boasts a four-season design that is able to withstand snow dumped on its roof and ferocious winter winds. But, importantly, it is also designed to be lighter than even more robust mountaineering tents, to make winter backpacking over long distances more practical. To withstand winter weather the MSR Access 2 is built with a range of more durable materials. 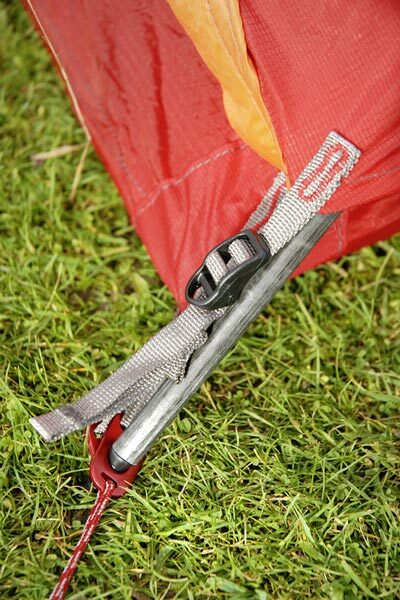 So you get 20 and 30 denier nylon ripstop used for the flysheet, inner and groundsheet, rather than the typical 15 and 20 denier materials used for lighter-weight summer backpacking tents. The poles are the new Easton Syclone design with S-Glass composite fibres that are said to be 80 per cent more durable in wind and flex tests than aluminium or carbon poles, while being the same weight as standard Easton aluminium poles. 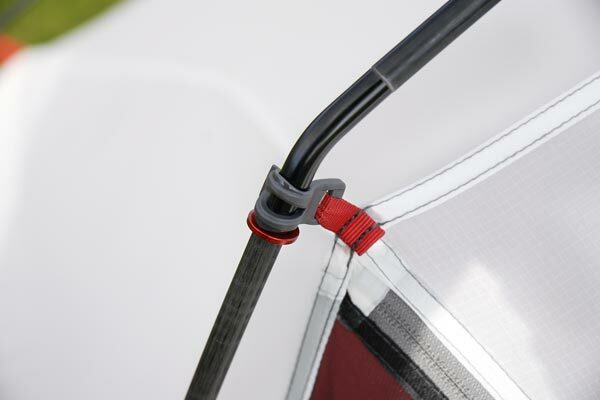 It is then the details that make this even better for winter – with a double zip on the doors, so you can enter the tent from the top of the door when buried in snow, as well as allowing more ventilation. Also the zips get a heavy-duty external stormflap to keep snow and ice from freezing the zips and preventing their use. The tent is pitched inner-first, with the poles forming an external skeleton from which the inner is suspended. 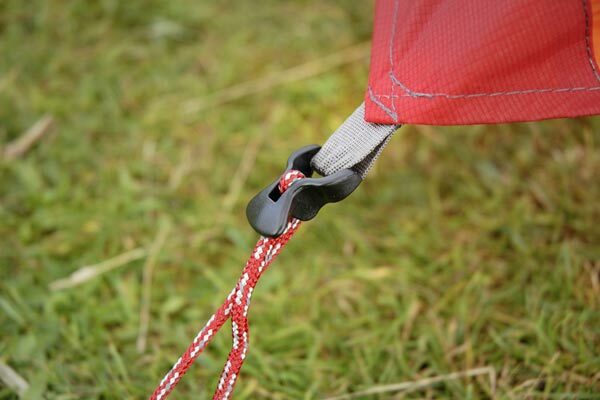 The outer then fits over the top easily, with ladder-lock webbing buckles at the corners to allow easier tensioning. Eight pegs are provided, and these are a good size for general use; but to employ all the guy lines you would need an additional two pegs, which is annoying. Once pitched the Access 2 is very stable, however, even without additional guy lines. The tent is very spacious with a porch and entrance on each side, so two campers have plenty of room to come and go and store their kit. The porches easily accommodate a rucksack with space to move into the tent or cook. The inner tent has lots of headroom so you can easily sit up, which is pretty important for a winter tent. The width is typical of other two-person tents, but this feels more spacious as the inner is quite square with steep sides and a relatively flat roof so two can comfortably sit out a storm. A slight niggle is that the flysheet does not fully reach the ground; this allows more airflow but does mean cross-blown rain or snow could get under the fly and into the porch, which again is annoying. An outer-pitched-first design may also be more useful for pitching in heavy winter rain to keep the inner drier. All that for 1879g is very impressive, though; and it is important to remember the materials are thicker than in lighter tents for that extra durability you need in winter. 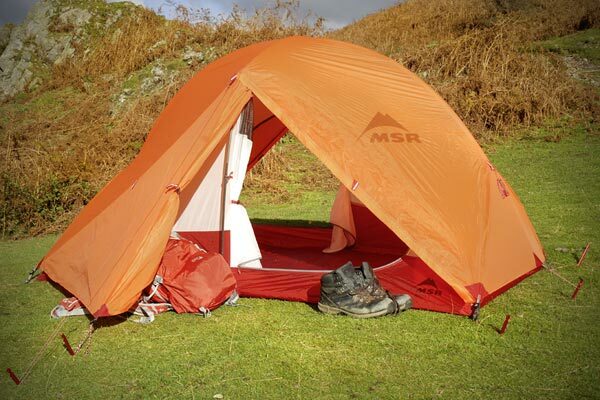 The price tag is less appealing, however; and while the MSR Access 2 is certainly more durable than lighter and lower-priced tents you need to consider if you are going to get your money’s worth and use it regularly when paying this sort of cash.